Unlike Ariana Grande, I can’t quite afford to give my six best friends rings of the bling-bling variety. I can, however, afford a Pilates ring or two. (Am I stretching right now… pun intended?) They’re cheap! And, they supercharge my new favorite thing: quick-yet-effective at-home workouts that can be squeezed into even the smallest windows of time. To find out how best to utilize them unsupervised, I asked New York Pilates founder Heather Anderson for her favorite ring-based moves. Below, she runs through a list of her MVPs step-by-step. Keeping reading for 5 Pilates ring exercises that’ll burn your bum (and beyond). “Beginning on all fours, place one pad of the ring on your sternum and rest the opposite pad on the floor between your hands,” Anderson says. “Then, lower your hips so that your shoulders, hips, and knees are all in one long line, keeping your eyes gazing down at your hands. Next, inhale to bend both elbows in toward your waist, exhale to extend both arms back to straight. Repeat 15 times. Looking to up the ante with your ‘lates game? Try it the Selena Gomez way (AKA en fuego). 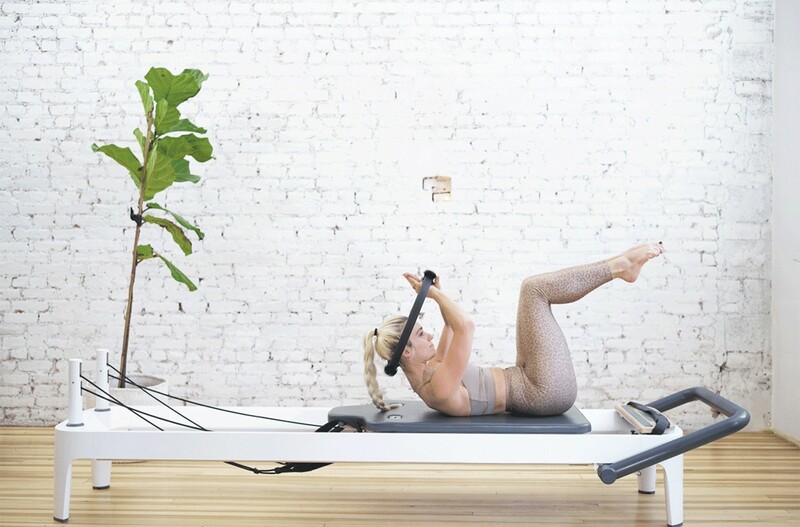 Or, take it on the road with this portable reformer, the GOAT, and these at-home pilates moves A-listers swear by.